After graduating from the Columbia School of Dental and Oral Surgery, Dr. Michael Kraus has dedicated himself to his private practice for over 23 years. He has been a clinical instructor at the prestigious Columbia University and New York University’s Rosenthal Institute. Alongside that, he is an instructor at the Atlantic Coastal Research Clinic in Palm Beach, Florida for dentists around the world. 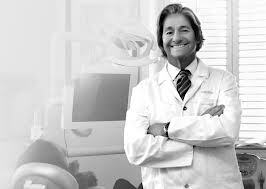 In 2001, Dr. Michael Kraus opened u his Madison Avenue office to accommodate the needs of his patients through his cosmetic and restorative dentistry passions. As one of the original laser instructors in the United States, he continues to impress his patients with his newly equipped and fully updated bleaching and soft tissue lasers for comprehensive dentistry. Dr. Kraus addresses the needs of the entire oral cavity and pride’s himself in his commitment to his patients and their overall health. Dentist, Instructor, Author; Dr. Kraus seems to have done it all. He is also quite the philanthropist, volunteering numerous times for community organizations. He is currently a member on the board for the Center for Living, and organization in which rehabilitates young people with addictions, as well as “City Kids of NYC.” He donates much of his time to “My Sister’s Place”, a charity that offers help and support to abused women. Dr. Kraus lectures on health related tops such as bulimia, addiction, and oral health topics and how they correlate to heart disease. Ever wondered how the financial crisis has impacted the dental industry? The following article details the impact it had and how to overcome it. “The financial crisis of 2007-2009, which is regarded as the worst crisis since the Great Depression, had devastating effects on the U.S. economy and led to the global recession of 2009. Unemployment surged, financial institutions collapsed, and consumer confidence slumped as a result of the crisis. Also, the economic downturn had negative effects on the U.S. dental industry, causing patient visits, practice collections, and net income to plummet. When the financial crisis hit the U.S. economy, the dental industry was already in a bleak financial state. 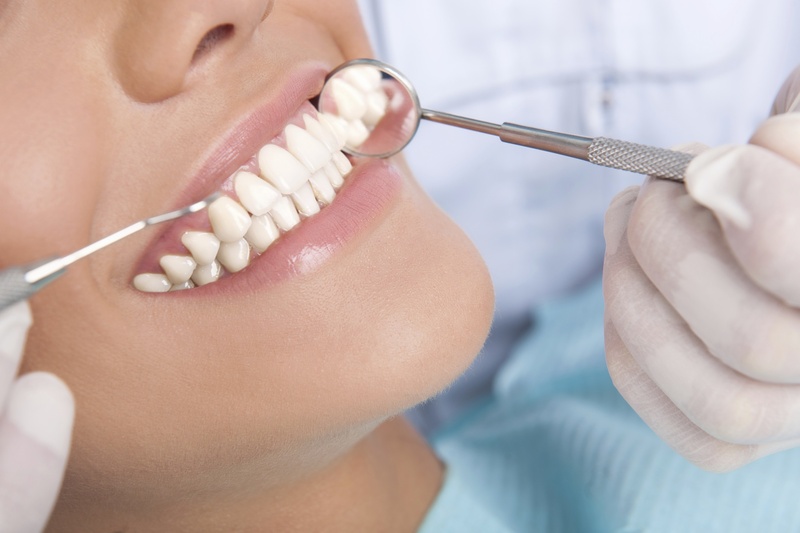 According to a recent study by the American Dental Association (ADA), the average net income for general practitioners has exhibited moderate or no growth since the early 2000s. In addition, net income, which measures how profitable it is to run a dental practice, started to decline sharply in the mid-2000s. More specifically, the average net income dropped 13% during 2006 to 2009 (from $219,501 to $191,495). The decline in net income for dental practices is attributed to several factors including 1) declining utilization of dental care by the adult population, 2) increased financing by lower paying public programs and less out-of-pocket payments, and 3) a change in procedure mix. For example, dental expenditures per capita started to slow down in 2002, several years before the financial crisis. The declining utilization of dental care is driven by the increase in the number of people lacking dental benefits and the austere financial climate. Improve you practice and increase patient numbers by continuing your dental education. 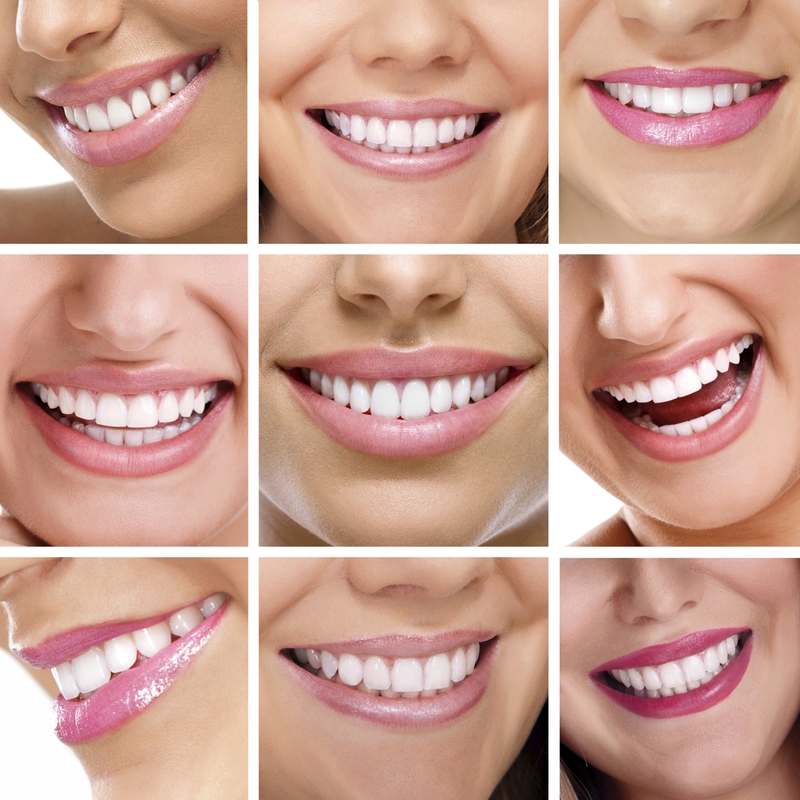 Call Aesthetic Advantage to enroll in their dental continuing education classes at 212-794-3552. Visit the website to learn more at www.aestheticadvantage.com. Featuring Dr John Kois, Dr Larry Rosenthal, Dr Brian Chadroff, Dr Michael Apa. The interpretation of articulating marks has long been an inexact science. It requires subjective analysis with possible iatrogenic consequences. This protocol has led dentists to make irreversible adjustments to human anatomy without measuring and analyzing the existing problems and hopeful outcomes. 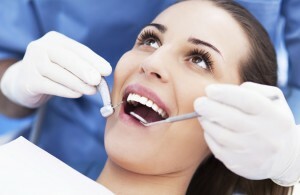 Dentists have been taught to ask patients questions: How does that feel? Do you notice any one tooth hitting too much? Which tooth do you feel is touching first? But patients are not trained in occlusion, and the literature supports that this method can be unreliable. Even experienced dentists cannot direct occlusal adjustments by proprioception alone. Therefore, dentists should consult the literature and question further the theories they were taught in dental school and textbooks regarding articulating paper. It has been documented in the literature that articulating paper is a poor indicator of occlusal disharmony. Studies show that mark size varies with the same applied load or different thicknesses of paper. Mark interpretation is operator-subjective and paper cannot measure the timing or forces of occlusion. A complete occlusal adjustment by today’s standards should include computerized occlusal analysis. MA) for several years as a more accurate way to refine occlusion. Despite its proven force reproduction capability, this technology has been underused in the profession. In the author’s opinion, it is the only accurate way of measuring the timing sequence or force of occlusal contacts. It can be used with any occlusal philosophy to determine interocclusal relationships. Instrumentation to analyze occlusal forces was introduced by Tekscan Inc in 1984 as the T-Scan® I. Over the past 24 years, the technology has evolved into a very precise diagnostic and treatment tool, which can be incorporated into any restorative practice. Expand your dental education by enrolling in the Aesthetic Advantage hands on dental continuum. Call today at 212-794-3552. Visit the website to learn more about the Aesthetic Advantage Dental Education and view course dates, www.aestheticadvantage.com. Classes in New York, London, and Florida. 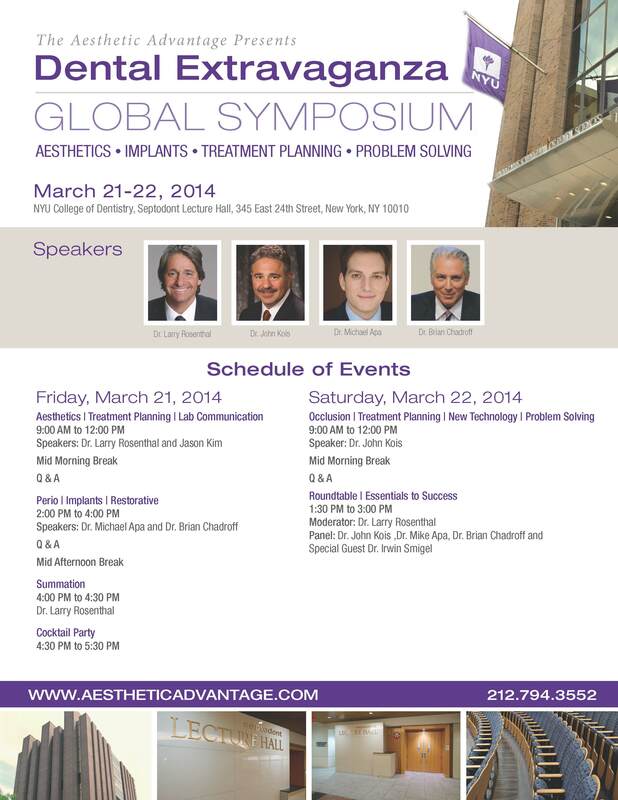 Enroll today in an Aesthetic Advantage course and learn from the best aesthetic and cosmetic doctors in the country. Call today at 212-792-3552. 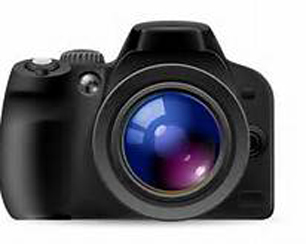 Visit the website at www.aesthaticadvantage.com.